We, Solution 4 U, are one of the most prominent manufacturers and rapid prototyping service providers. 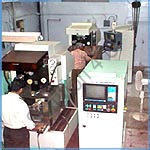 Set up in 2003, we are enriched with a vast industry experience. Our offered range of services is inclusive of product design services, three D modeling services and rapid prototype services. Our wide range of products and services offered are highly acclaimed by the huge client-base we have. We have garnered immense appreciation across the nation. Our services enable our customers stay in tune with technological advancements and better quality. Our organization has successfully accomplished in attaining its goals in the provided frame of time. Relying on our prudent vendors for the premium quality raw materials, we manage to bring a range of quality for our esteemed clients. Under the mentorship of Mr. Saumil and Ms. Radhika, we manage to bring forth designs that offer most efficient manufacturing solutions. Aided with efficient designs and a qualitative range of thermoplastics, we have become a preferred choice over others in the industry. 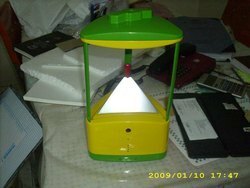 Plastic Product Manufacturing, Plastic Product design , OEM / Assembly. Initial process development / Harden tool for mass production. Matching to the international standards of infrastructure, we have assembled it with all the modern equipments and upgraded technologies so as to help our dynamic team work more efficiently. Further, the same well equipped and technologically upgraded infrastructure helps catering to the demands and requirements of our clients with efficiency and promptness. Engineers have come to appreciate our rather zealous attention to concept and design, to detail, and to product integrity. Purchasing managers appreciate our relentless focus on timely delivery, value- added services, and affordable project pricing.Solution 4U is dedicated in providing products and services like plastic prototyping & Pilot tooling , commercial tooling,Injection Molding,Vacuum Forming Service, Blow Molding services, Thermoforming which are free from defects and adhere to international quality standards. Complete integrated activity from product design to tool manufacturing. 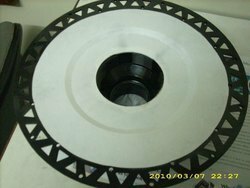 Tooling is the most important part of any product development - be it the pilot tool, soft tool, fully harden or any other tool, as per product requirement and development cycle. 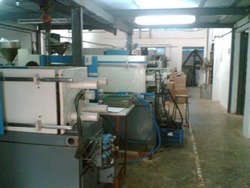 We have a tool room, which is fully equipped with all basic as well as advanced facilities. In addition to that we also have a team of committed and experienced design professionals to handle your job with satisfaction. 18 Bench Grinder 2 Nos. 19 Portable Grinder 1 Nos. Pantaloon Retail & Future Group. Mercedes Benz Research Development India Pvt. Ltd.
Porous Composition: PORCERAX IIÂ® is a metal with a pumice-like composition. 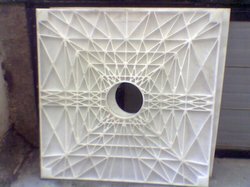 PORCERAX IIÂ® metallic dies are 20-30% porous by volume due to a system of interconnected pores. Average pore diameter is 10Âµm. Resin shrinkage generally occurs when a layer of air or gas is trapped between the mold surface and the resin. PORCERAX IIÂ® allows the extraction of this gas, avoiding the problems of shrinkage and uneven luster due to irregular adhesion of the resin to the mold surface. PORCERAX II® simplifies die structure and gating systems through one piece forming. What benefits does porcerax II brings to you ? Due to its excellent permeability, PORCERAX II® is ideal for injection molding applications. This permeability is a result of Porcerax's porosity, which allows gases and air to be extracted through the material itself, eliminating gas-related defects. When used as a die material for injection molding, PORCERAX II® can be worked and machined just like conventional die materials using processes such as EDM machining, etching, cutting and grinding. Thermoforming cavity , insert etc. Since almost a decade, backed with a vast experience, we are capable of meeting the needs and requirement of our customers.